If you’ve never heard of the SsangYong Korando, don’t stress - you’re probably not alone. But believe it or not, this so-called ‘C300’ Korando is the fifth-generation version of the company’s mid-sized crossover - and while it may not be a household name here, it used to be the brand’s biggest seller in Australia. SsangYong Korando will compete with big-name Korean competitors, and models like Nissan Qashqai and Mazda CX-5. That was before the company left Australia, but now it’s back with a new focus, new product and under the control of SsangYong HQ in Korea, rather than a local distributor. You could say that this time around the brand is actually committed to making things work. 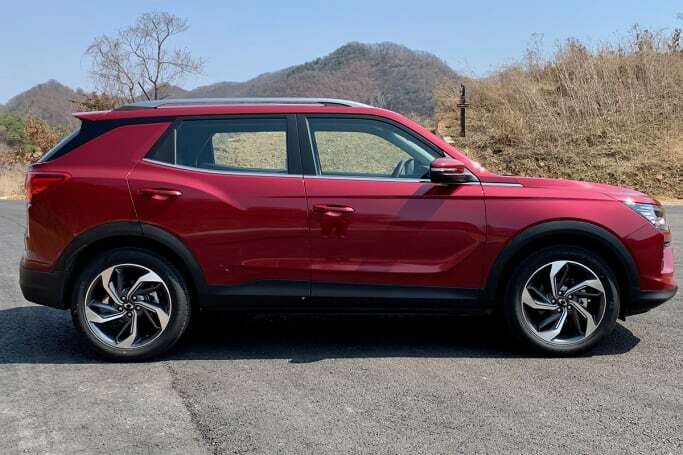 As such, we wouldn’t dare miss the opportunity to drive the all-new version of the Korando in Korea ahead of its Aussie launch later in 2019. 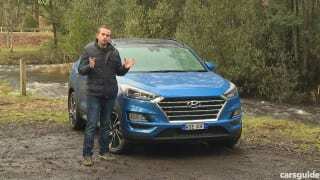 When it gets down under it will compete with a couple of big-name Korean competitors - the Kia Sportage and Hyundai Tucson - not to mention models like the Nissan Qashqai and Mazda CX-5. So yeah, this is a vital car for the brand. Let’s take a deep dive and see how it stacks up. The new-generation Korando's exterior is a big departure from its predecessor, looking broader and considerably more substantial on the road as a result. Just like the previous version, the front is nice and in profile it doesn’t look too bad, either. The wheels go up to 19 inches in size, which helps with that! 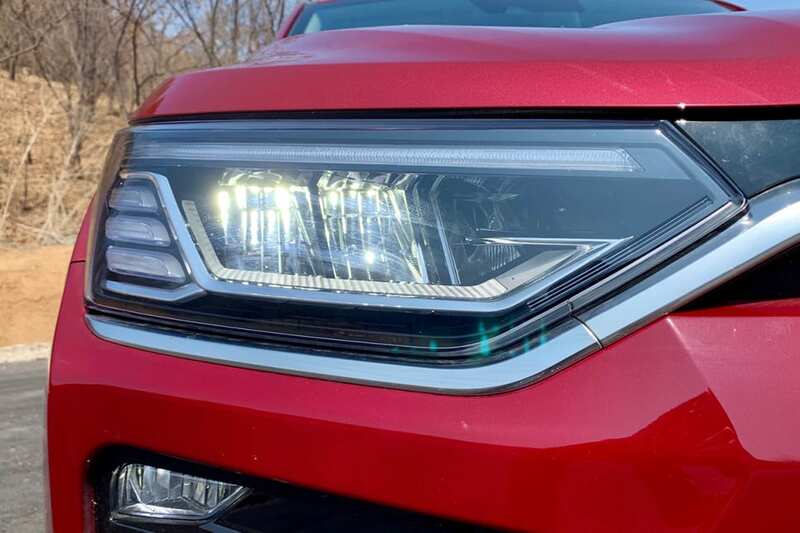 There are LED daytime running lights and LED tail-lights, and LED headlights will be fitted to high-grade models (projector halogens on models below). Just like the previous version, the front is nice. There are LED daytime running lights and LED headlights will be fitted to high-grade models. SsangYong insists on accentuating hip points on its cars, and the tailgate and rear bumper are somewhat overstyled. But the rear end design is a little fussy. 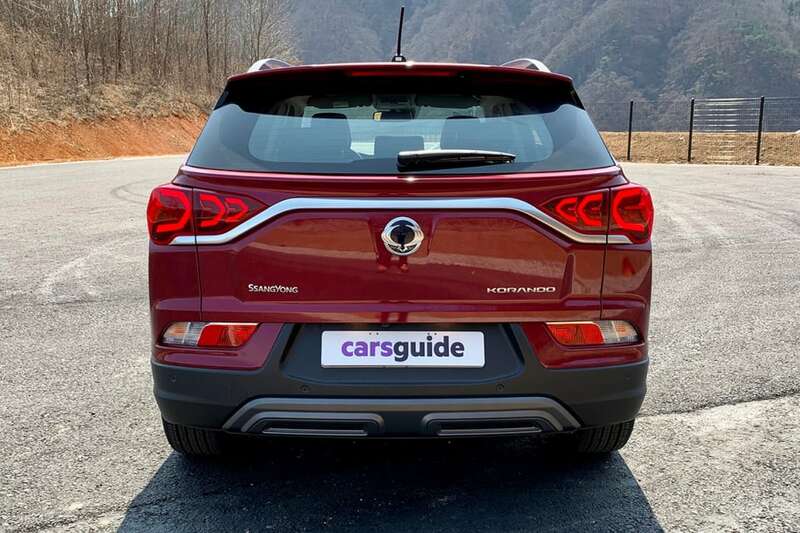 SsangYong insists on accentuating these hip points on its cars for some reason, and the tailgate and rear bumper are somewhat overstyled. But it does hide a good sized boot - more on that below. As for the interior design, it’s pretty flash for a ‘challenger brand’, with some rather compelling styling elements and a high-tech fully digital dashboard cluster. Check out the interior pics to see for yourself. SsangYong has asserted that the Korando is “designed for young families seeking an active lifestyle, and will appeal to those requiring a car that can handle the rough and tumble of family life, with sector leading interior space for growing children, and a generous boot space for all their leisure equipment and daily needs”. It sounds like this car is enormous, by that claim. But it has pretty compact dimensions, spanning 4450mm long (on a 2675mm wheelbase), 1870mm wide and 1620mm tall - and it makes the most of the space on offer. With a claimed cargo capacity of 551 litres (VDA), the Korando hits above its weight. 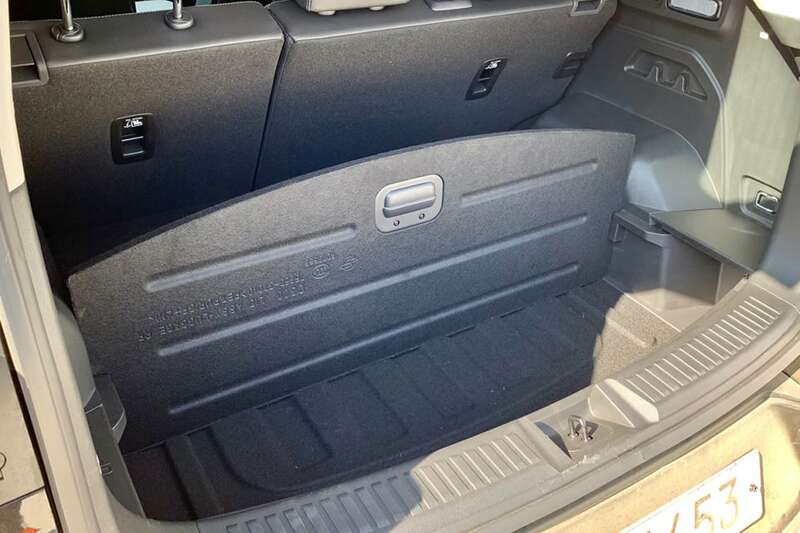 The rear seats can be folded down flat to liberate 1248L of boot space. SsangYong is almost like Skoda in the way it manages to package a lot into a small shell. This is a car that’s smaller than a Mazda CX-5, and near enough to the same size as a Nissan Qashqai, but with a claimed cargo capacity of 551 litres (VDA), it hits above its weight. The CX-5 has 442L, and the Qashqai has 430L. 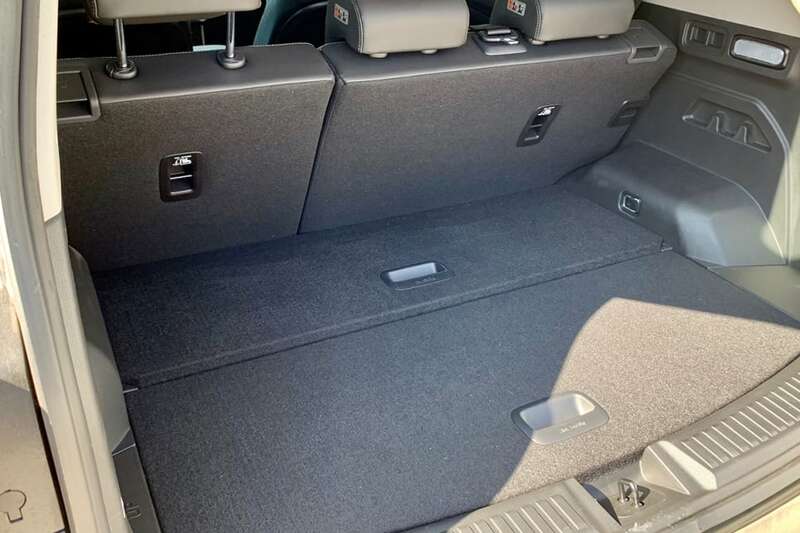 The rear seats can be folded down flat to liberate 1248L of boot space, too. 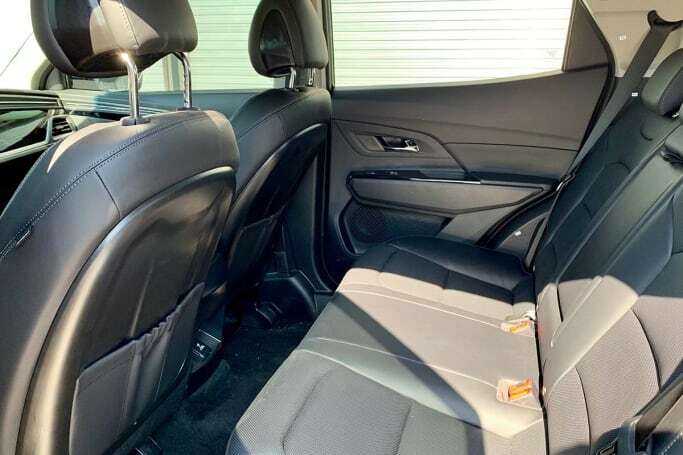 And the brand claims the Korando has “better head room and rear seat space” than its closest rivals, and for someone my size - six feet tall or 182cm - it is more than amenable, with easily enough room in the second row for two adults my size, and even three if you need it. If you have teenage children but happen to live somewhere a bigger SUV mightn’t be suitable, the Korando could be a great option for you. Or if you have smaller children, because there are dual ISOFIX child seat anchor points and three top tether attachments. 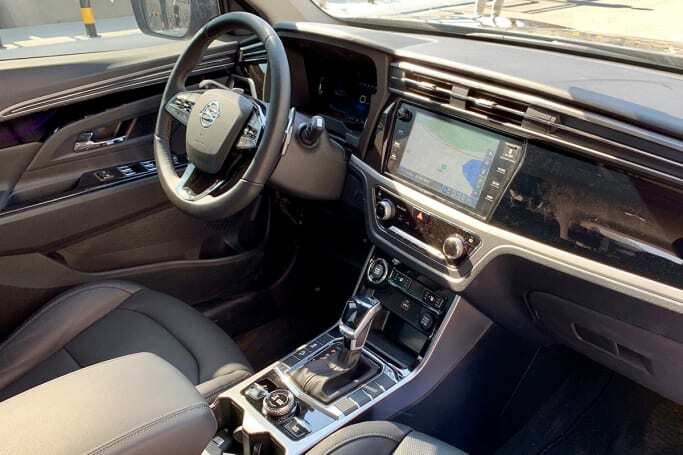 There are no rear seat air vents, but high-spec models will have heated seats in the back, and heated and cooled front seats plus dual-zone air conditioning. SsangYong claims the Korando has “better head room and rear seat space” than its closest rivals. As for the ‘feel’ of the space, it’s the best effort from SsangYong so far. You can tell the brand has taken inspiration from Audi and Volvo, and while ultimately it may not be quite as plush in terms of the materials used or as refined and elegant as some of the established go-to competitors in the mid-size SUV class, it has some genuinely interesting elements, like Infinity Mood lighting as part of the so-called ‘Blaze’ cockpit - check out the video to see those 3D lighting elements in action. The 10.25-inch digital driver display looks like it has been ripped straight out of a Peugeot 3008, and that’s no bad thing - it’s crisp and easy to use, and has some nice illustration effects, too. Media will take the form of an 8.0-inch touchscreen with Apple CarPlay and Android Auto, and there won’t be sat nav offered on any model. 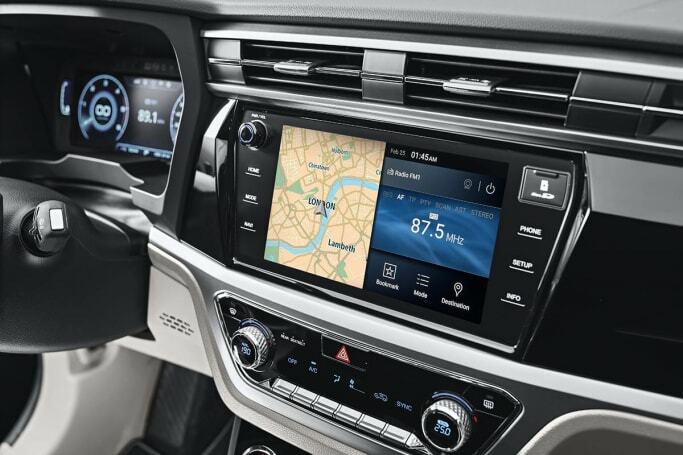 The brand will offer it as an option, apparently it’s more important to country buyers than urbanites, and that’ll mean a step up to a 9.2-inch touchscreen (thankfully with a physical volume knob) with all the latest connectivity. If practicality is more important to you than presentation, you’ll be pleased to know there are dual cup holders up front (and two in the rear), plus bottle holders in all four doors and a good selection of oddments storage up front (cubbies in the dash and between the seats) and in the back (map pockets). We don’t know exact pricing for the SsangYong Korando 2019 range yet - the company hasn’t announce what it plans to do in terms of specs and equipment, but we will follow up with a price and specs story when we can. 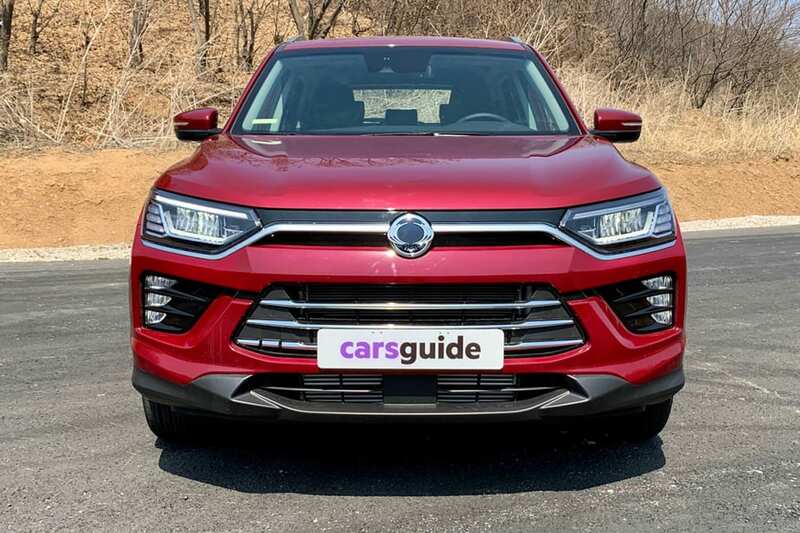 What we can tell you is that customers are set to be offered attractive levels of equipment, and - if the brand’s other model lines are any sort of crystal ball - there’ll likely be three grades of Korando available: EX, ELX and Ultimate. If we had to make a guess at this point in time, it'd be likely the EX petrol front-wheel drive manual would start around $28,000, while the EX FWD petrol auto could cost just over $30,000. The mid-spec ELX is likely to hit the market at about $35,000 with a petrol/auto/FWD powertrain. The range-topping Ultimate will be diesel, automatic and have all-wheel drive, and its price could tip over the $40,000 mark. That may seem a lot, but remember - an equivalent top-spec Tucson, Sportage or CX-5 will set you back fifty grand. Entry-level models are expected to roll on 17-inch wheels and feature cloth interior trim, while mid- and top-spec models will have bigger wheels and leather trim. Entry-level models are expected to roll on 17-inch wheels. 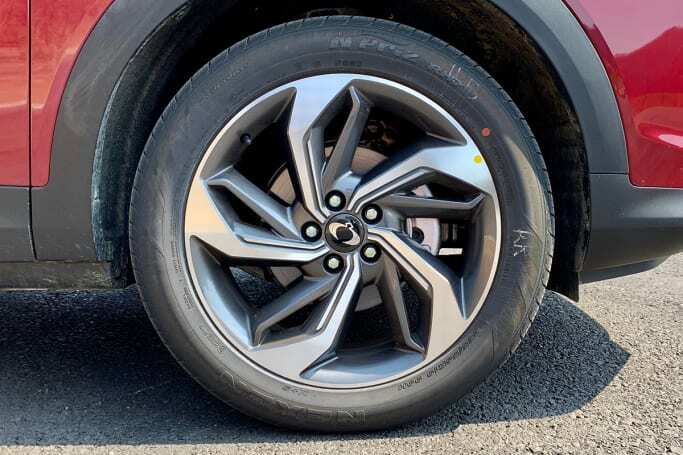 Pictured are 19-inch wheels. Higher grade models are expected to get the brand’s best digital offering, with that 10.25-inch digital instrument cluster. An 8.0-inch screen with Apple CarPlay and Android Auto, Bluetooth phone and audio streaming will be standard. In the cars we drove on test there was only one USB port, and there was no Qi wireless charging for smartphones, but a rear powerpoint (230-volt) may be offered - we hope SsangYong fits it with an Australian-style plug, as early examples of the Rexton came with a Korean outlet! The range-topping diesel all-wheel drive Ultimate is expected to come with the kitchen sink, alongside ambient lighting with multiple colour options, plus electric driver’s seat adjustment, heated and cooled front seats, and heated rear seats. A sunroof is likely in this grade, too, as is an electric tailgate. The Ultimate will likely ride on 19-inch wheels. Higher grade models are expected to get the brand’s best digital offering. In Australia there will be a choice of two different engines. The first motor is a 1.5-litre turbocharged petrol four-cylinder producing 120kW of power (at 5500rpm) and 280Nm of torque (from 1500-4000rpm). It will be offered with a six-speed manual or six-speed Aisin auto in the base model, while the mid-spec model will be auto only. It will be sold solely in front-wheel drive in Australia. The other option will be a 1.6-litre turbo diesel engine with a six-speed automatic transmission, which will be sold in Australia purely as an all-wheel drive offering. It produces 100kW (at 4000rpm) and 324Nm (1500-2500rpm). Those are reasonable figures, but they certainly aren’t class leading. There won’t be a hybrid or plug-in hybrid version for a few years, if at all. But the company has confirmed a ‘fully electric’ EV model will be sold - and it will come to Australia, possibly as soon as late 2020. There are no official fuel use figures for the Korando yet - be it petrol or diesel. But both are Euro 6d compliant, meaning they should be competitive when it comes to consumption. That said, the targeted CO2 emissions for the petrol manual model (which will form the basis of the Australian range) is 154g/km, which should equate to about 6.6 litres per 100km. The FWD petrol auto is expected to use a bit more. The diesel FWD manual - which won’t be sold here - is said to be targeting 130g/km (about 4.7L/100km). Expect the diesel AWD auto to use around 5.5L/100km. Note: the petrol version we get may be Euro 6d compliant - which means it comes with a gasoline particulate filter as part of its emissions strategy - but our cars won’t get that due to Australia’s poor quality fuel being too sulphuric. We confirmed with SsangYong that our petrol models will meet Euro 5 standards. This is the best SsangYong I’ve driven. That isn’t to say that it sets any new benchmarks for mid-sized SUVs. But based on my test drive that included some laps of an empty race track and some highway driving through regional Korea, the new Korando proved both competent and comfortable. 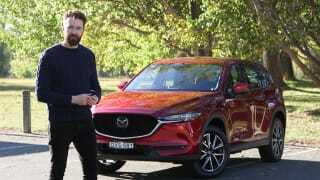 It doesn’t quite have the polish and outright enthusiastic bent to it that a Mazda CX-5 has, and there is an element of the unknown as to what the ride and handling will be like on Aussie roads - because the suspension in the cars we drove in Korea is likely to be different to what we get locally. There’s the domestic tune (which, for what it’s worth, was probably the best first-up effort I’ve experienced in any Korean car I’ve driven pre-local tuning), but there’ll also be a European tune which we assume will be slightly more softly sprung but more firmly damped. It’s the latter we are more likely to get, but if that isn’t suitable for our unique conditions, an Australia-specific tune will follow. The new Korando has proved both competent and comfortable to drive. Either way, it’s bound to be pretty good to drive, if these early indications are anything to go by, as it handled bumps and potholes well enough, and the body never felt upset when you changed direction quickly. There was not a whole lot of body roll, and from the driver’s seat you can tell it’s quite light - SsangYong managed to rip out nearly 150kg between the previous generation and this one. The petrol engine proved a zesty little jigger, with enough pulling power from a standstill and decent roll-on acceleration, too. It was mainly let down by the six-speed automatic, which insisted on upshifting in manual mode and struggled to keep up with driver demands in more spirited stints behind the wheel. That mightn’t matter to you - it’s a midsize SUV, after all - and the general performance of the auto gearbox seemed pretty fine during testing. The diesel engine with the all-wheel drive system was pretty impressive, too. 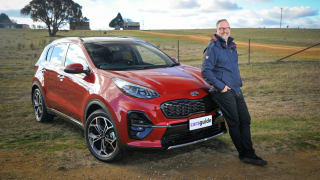 This version will likely be offered in the flagship version of the Korando in Australia, and it offered strong pulling power in the mid range, feeling best when you were already moving because there was a touch of low-speed lag to contend with, but it wasn’t that big of a deal. 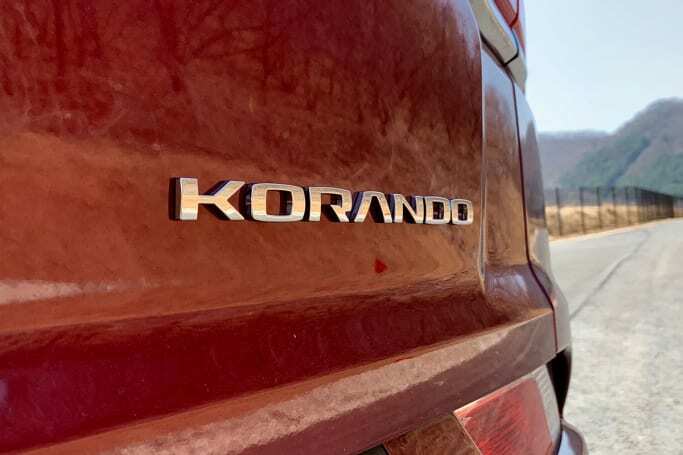 We noticed some wind noise at 90km/h and above, and the diesel can sound a bit gruff under hard acceleration - but generally the refinement levels of the new Korando are competitive, and so is the drive experience in general. The new Korando hasn’t been crash tested yet, but the company claims it will be “one of the safest cars in the segment” and went as far as to show the icon indicating the maximum safety rating on presentations made to media at the launch. We’ll see what ANCAP and Euro NCAP have to say about that - we expect it will be tested later this year. Standard safety gear across the range includes auto emergency braking (AEB) with forward collision warning, lane departure warning and lane keep assist, and high-beam assist. Further, high grade models will have blind spot monitoring, rear cross traffic alert and rear auto braking. We’re talking high levels of safety gear, here. Plus, all models will come with a reversing camera, front and rear parking sensors, seven airbags (dual front, front side, full length curtain and driver’s knee) will be standard across the range. And there are dual ISOFIX attachments and three top-tether child seat anchors. SsangYong is backing all of its models with a compelling seven-year unlimited kilometre warranty, equalling the best mainstream brand for ownership in Australia and fellow Korean company, Kia. 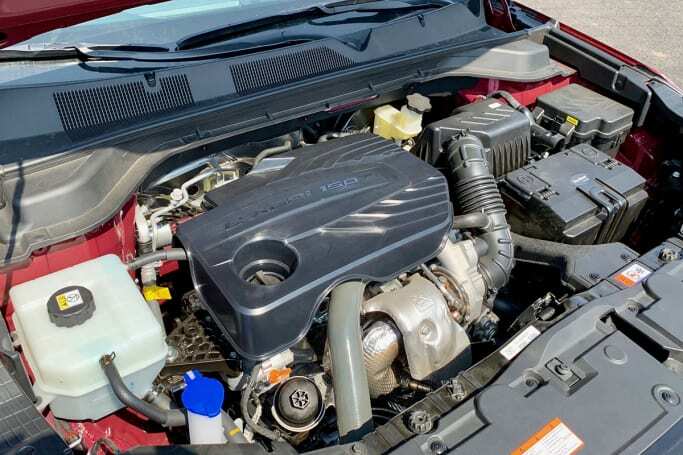 There’s also the same cover of capped price servicing, and customers can expect reasonable pricing based on the other models in the brand’s line-up, it should be about $330 per year. Plus there’ll be seven years of roadside assistance included provided you service your car with authorised SsangYong dealers. 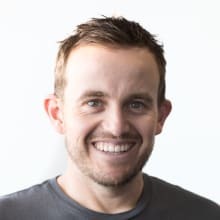 The only reason the doesn’t get 10/10 here is that it only equals the best available - it’s a very compelling offer that could a lot of potential customers across the line. There are still some questions over the Korando’s Australian pricing and positioning - you’ll have to stay tuned for more info. But after our first drive we can say that the new-generation model will go a long way towards making the Korando a household name - and not only in Korea. Has SsangYong done enough for you to consider the Korando over the established Japanese SUVs? Let us know in the comments.